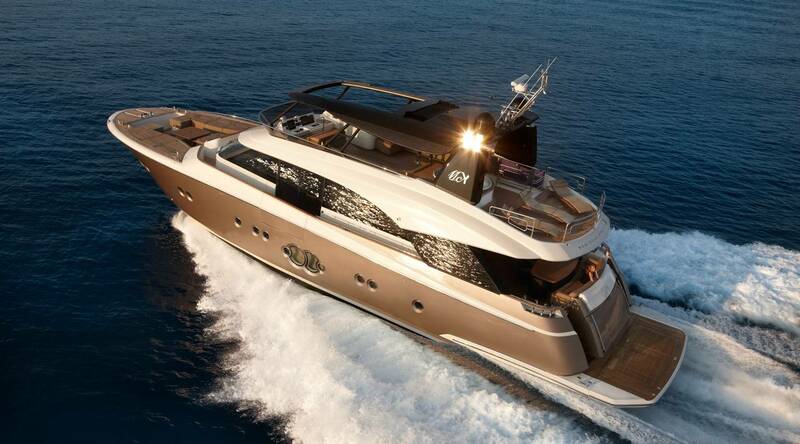 Monte Carlo Yachts returned to Miami to present the MCY 96, the seventh addition to the MCY collection. Over 200 key clients, journalists and stakeholders hailing from US and Central America were present for the new 30-meter reveal. During the exclusive cocktail, guests have been invited to get on board for a special tour at night. Carla Demaria (MCY President) and Fabrizio Iarrera (MCY Managing Director) welcomed the guests together with Dan Lenard (Nuvolari Lenard) and introduced the company’s vision and its constant pursue for beauty and functionality. The entire MCY Collection was spotlighted in Miami. 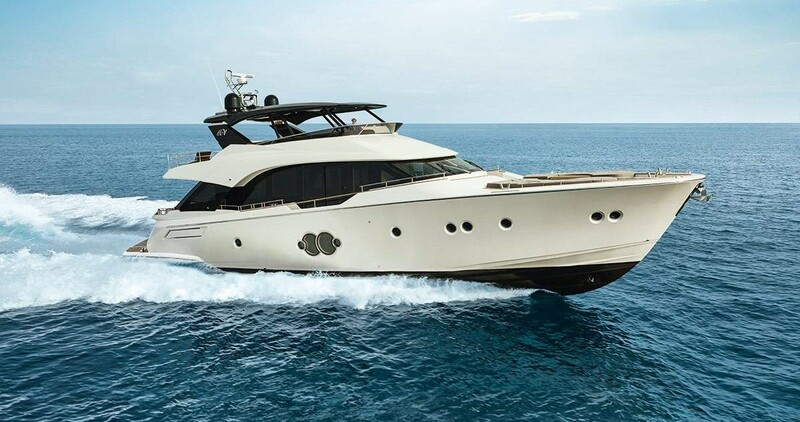 The MCY 80, one of the most successful yachts of the MCY Collection, has been on display at the Boat Show Eurasia last February 17-25, catching the eye of everyone at the show. Monte Carlo Yachts has been very pleased to work again together with Tezmarin professional team in welcoming prestigious guests on board. Today the place to be is Dubai and its International Boat Show happening from Feb 27 to Mar 3. A brand new MCY 86 is displayed at our stand where both MCY and SF Yachts professional teams are looking forward to seeing you on board! Innovation merges with tradition at the Dubai Int. Boat Show. From February 27 to March 3, it will be hard not to admire the realization of projects that elsewhere would have remained on the drawing board. March is an ideal time to make a stop in the Golden Cost and visit the Palm Beach International Boat Show (March, 22-25). The third-wealthiest city in America, Palm Beach is home to 24 billionaires and looks every inch the playground for the rich and famous that it is. Split, Croatia’s second-largest city, is a great place to participate in the Dalmatian life. Always buzzing, this exuberant city has just the right balance of tradition and modernity. From April 11 to 15, don’t miss the opportunity to come on board the MCY’ in this fascinating Mediterranean atmosphere. From April 12 to 15 the place to be is Singapore, one of the world’s hot-list destinations. What we love most are the sharp and constant contrasts: smoky temples in the shadow of skyscrapers, luxe condos backing onto jungle, old-school shop houses housing secret cocktail dens. You really can travel the world without ever leaving the island. Don’t miss it!